Crema Marfil Basketweave Polished. 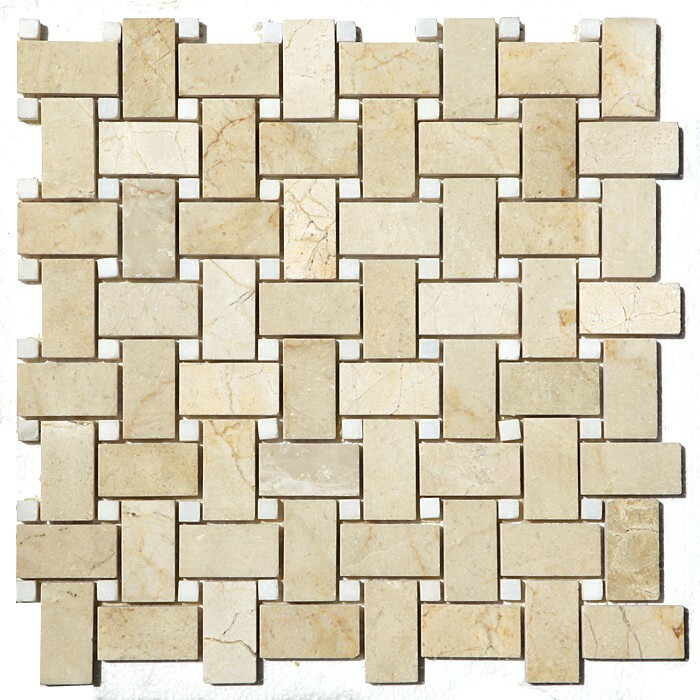 SOLD BY BOX OF 10 TILES / 10 SQ FT.
Crema Marfil Interlocking basket weave with white marble dots is an elegant blend of golds and beiges. These delightfully diminutive tiles (available in a 12x12 mesh for easier installation) are a soothing blend of warm-toned creams, beiges, and champagne. This simple, yet sophisticated, marble is a lovely addition to counters, floors, and walls. Best uses include both commercial and residential interior projects such as floors and walls.